Size of this preview: 800 × 571 pixels. Other resolutions: 320 × 229 pixels | 640 × 457 pixels | 1,024 × 731 pixels | 1,280 × 914 pixels | 1,750 × 1,250 pixels. 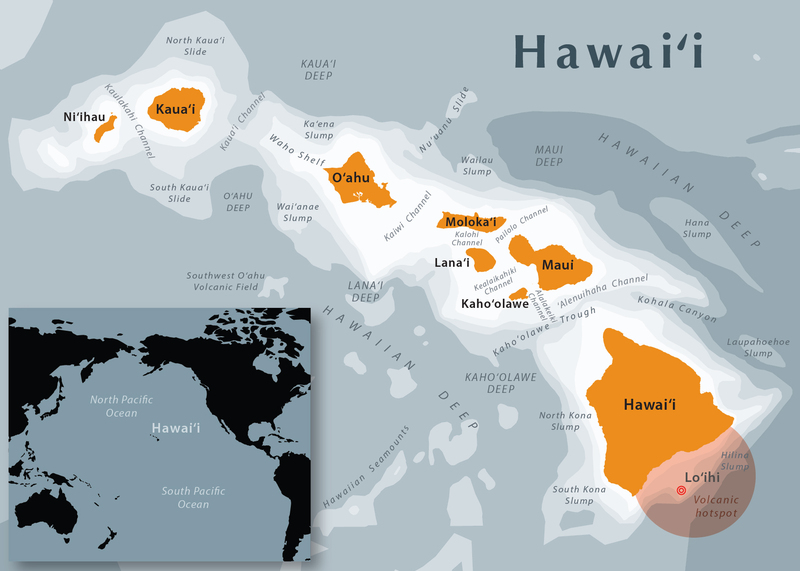 English: Map of the main islands of Hawaii. UTM Zone 4N. Data sources: Natural Earth, Hawaii State GIS Program, USGS map "Hawaii's Volcanoes Revealed". current 21:16, 3 September 2015 1,750 × 1,250 (567 KB) Mapbliss fixed typo. 16:33, 3 September 2015 2,100 × 1,500 (704 KB) Mapbliss updated cartography.